Theatre@Chowan will present three performances of Moses Goldberg’s play, The Sapphire Comb, on April 7, 8, and 9, 2017. Performances are Friday, April 7, Saturday, April 8, and Sunday April 9. Performances take place in Turner Auditorium in the McDowell Columns Building on the Chowan University campus. Admission is $2. All funds raised will benefit PRINCESSES ON A MISSION, a charity for children with cancer and rare diseases in northeastern North Carolina. Patrons are encouraged to arrive early. 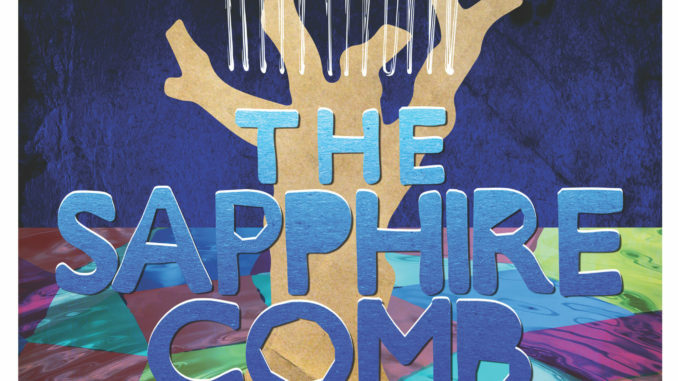 The Sapphire Comb tells the story of a young girl named Hannah and her “magic” comb. Each day Hannah plays games with the local river and wards off evil spirits by using a sapphire hair comb (left to her by her mother, who disappeared eight years earlier). In a moment of anger, Hannah’s father throws the comb into the river. Hannah and her friend, Corwin, try to retrieve it but are unable to find it. Instead, they unearth a mysterious woman. This River Woman holds the keys to unlock many secrets, including the needs of the river, the location of Hannah’s missing comb, and the reason why Hannah’s mother disappeared. One by one, the secrets are brought to the surface, and, ultimately, the characters learn how best to care for the environment and for each other. The six-member cast is comprised of Chowan University students: Sierra Jones (Senior; Wilson, NC), Cameron Shaw (Freshman; Durham, NC), James Conley (Sophomore; Virginia Beach, VA), Goluia Johnson (Senior; Chesapeake, VA), Regina Jones (Junior; Fayetteville, NC), Shakira Harris (Freshman; Norfolk, VA), Jasmine Snead (Senior; Suffolk, VA), and Tyler Maynard (Freshman; Courtland, VA). Steven Harders, Professor of Speech & Drama at Chowan, directs the production.